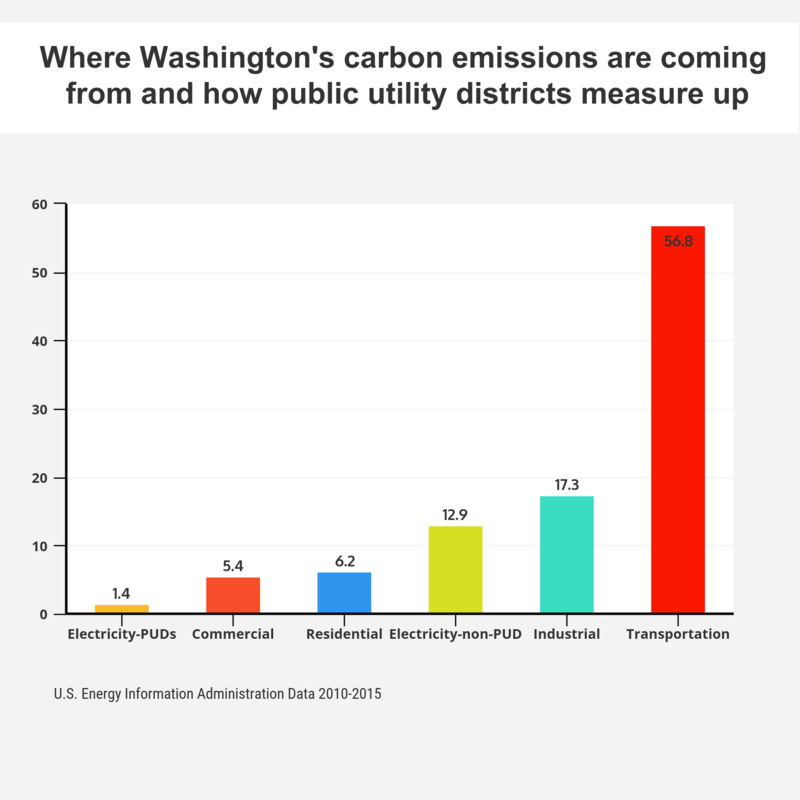 The electricity resources public utility districts use to serve customers produce 1.4% of the state's total carbon emissions and almost 90% of the resources that power PUD communities produce zero carbon emissions. 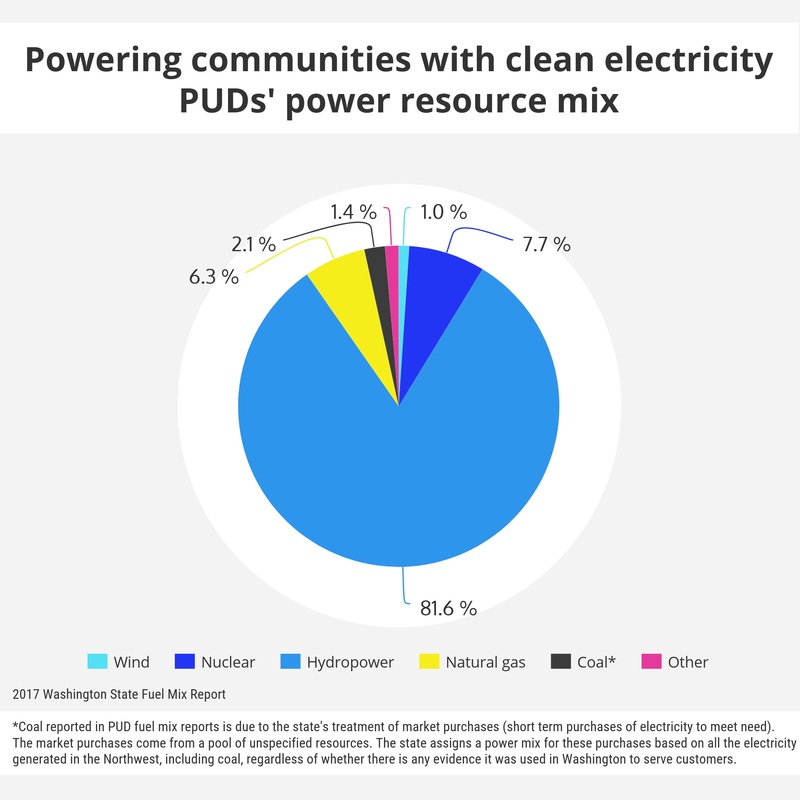 Most the electricity that serves PUD communities is clean, renewable hydropower. Northwest hydropower (electricity generation fueled by flowing water) offsets emissions equivalent to 10 million cars and allows for growth of other renewable resources like wind and solar by backing up these intermittent resources with reliable power.